» How Quick Will Creditors Stop Calling Me If I File Bankruptcy? 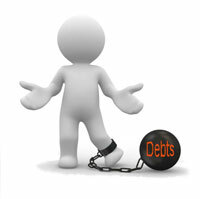 How Quick Will Creditors Stop Calling Me If I File Bankruptcy? When any bankruptcy petition is filed, a very powerful federal law is immediately triggered called the automatic bankruptcy stay. The stay prohibits any creditors from taking any action to collect a debt, and this includes those harassing and annoying phone calls from bill collectors. The very minute your petition is filed, the law says that debt collectors can no longer call you. However, it could take a few days for them to receive notice of the filing, the bankruptcy court mails to them. If creditors call you after the bankruptcy petition is filed, all you need to do is tell them that you filed for bankruptcy relief and give them the chapter (7 or 13), court location and case number. With our Long Island bankruptcy clients, once they retain us, we authorize them to tell their creditors that they can verify the retention by calling our office. Most creditors, once they know that a customer has retained bankruptcy counsel, will leave them alone for several weeks. Thus, if you retain our firm, a good amount of the collection calls will stop immediately.